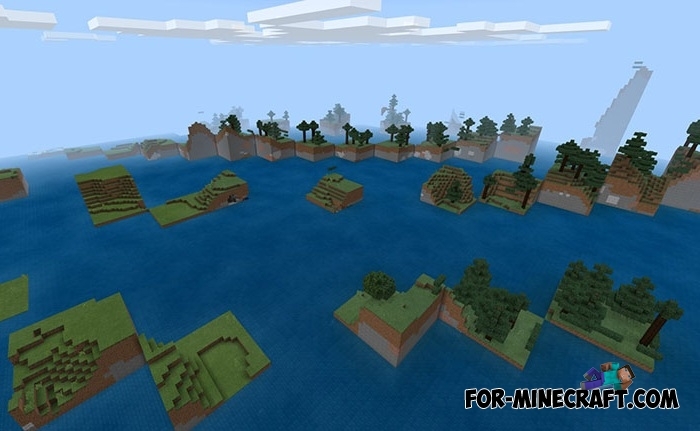 An incredible landscape was formed on this map which can be adapted for both mini-games and survival. Insane is a series of small cubic islands located next to each other. What will you do there? Decide for yourself, but such places are rare enough and finding something similar is very difficult, even if you choose between other maps from SkyGames. This strange generation is explained by the fact that initially this ap was built on Minecraft PC Edition and then ported to MCPE. Anyway, this can be a new experience for you if you have already played many different maps.